As part of our mission to support independence, health, and quality of life of our vulnerable neighbors, Horseshoe Farm offers programming 4 days per week on the first floor of our beautifully restored downtown community center. The center is a safe and welcoming place for adults who want to stay active, be part of a supportive community, and pursue their health and other goals. The center’s programs integrate health, wellness, nutrition, social, volunteer, and recreational activities with primary care, mental health, and other wraparound services to support vulnerable and other adults in our community. We offer activities including stretching/exercise, arts and crafts, cooking, gardening, dancing, music, a walking club, meditation, interactive games, quilting, wellness clinic, and support groups. We are partnering with a local organic farm to start a produce stand offering low cost fresh fruits and vegetables with easy to prepare recipes for participants. 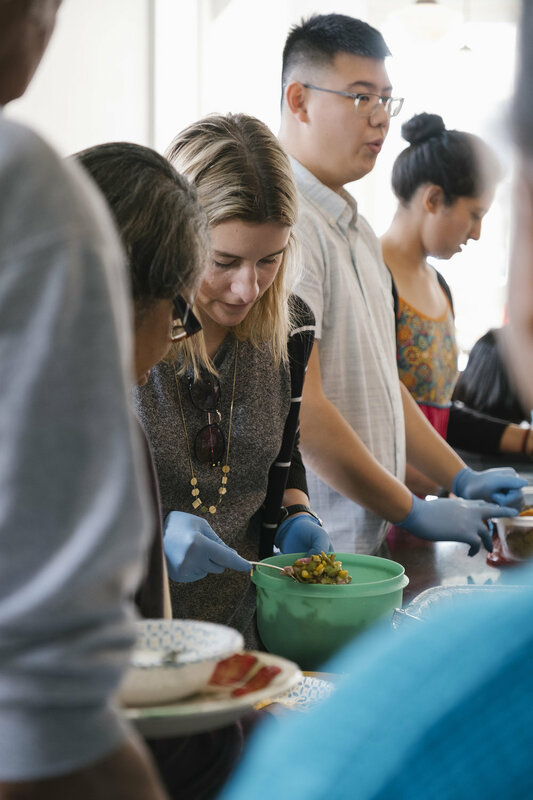 In addition, we actively engage with our community and are grateful to our community volunteers and our local Churches who provide a delicious weekly meals for the programs. Finally, through partnerships with the Hale County Hospital, volunteer local health providers, and our State's medical and health professions schools, we are able to offer primary care and mental health services co-located with other programs at the community center. Together, these programs provide an integrated model for successfully supporting our vulnerable neighbors. If you or someone you know is interested and could benefit from the Community Center Programs or if you have any questions, please do not hesitate to contact us.